Crown moulding is any moulding covering the joint between walls and the ceiling, whether it is elaborate and ornate or simple and sleek. This creates a luxurious look, making it well worth the investment if you can spare the budget. Chair rail moulding is a moulding strip running across the lower-middle of a wall, usually about 36" high depending on ceiling height and style (or capping wainscotting). This look is less common in contemporary homes, and can visually chop the room in half, reducing the apparent height. Panel moulding, a.k.a. picture frame moulding, is typically thin moulding applied on the wall (or ceiling) decoratively as either a strip above the base or below the crown, or in square or rectangular formations frequently in a neoclassical style. Can be simulated with wallpaper for a fun twist. 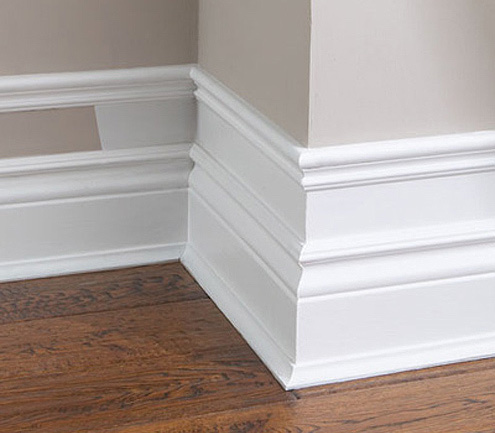 Baseboard moulding is moulding covering the joint between walls and the floor, often used to neatly cover the edges of a flooring material (and usually plainer than other mouldings). Often capped with a quarter-round strip (flat on two sides) on the top and/or front-base to help it seam with the floor and wall perfectly. Tall baseboards are a strong trend. I recommend going a bold nine inches high for a European flair. Door and window casing is often a continuation of the baseboard, and helps cover where jambs and walls meet while also framing views elegantly. Architraves are an elegant term for the special capping strips sometimes used across the tops of doors for a more formal look, which can also visually heighten door openings. 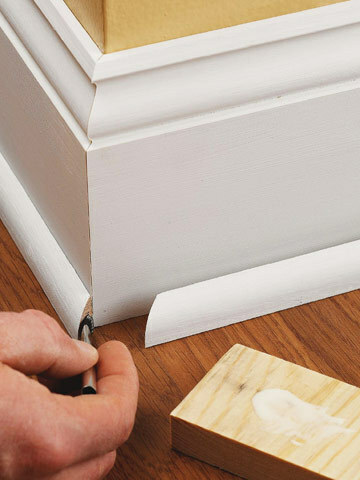 -Want the look of elaborate crown moulding without the price of a complete overhaul? Consider expanding your existing moulding by building up the look with additional strips added at the top or base. -This works well for both crown moulding and baseboards -- in fact, the two will look best when kept in proportion, so when expanding one it's best to add to the other as well for visual balance. -Simply add thin strips of moulding (for the easiest approach use a strip of quarter-round or half-round) painted out to match, to create some extra depth and curvature. -Alternately, add a strip of moulding below the line of crown moulding (or above baseboard) and paint out the plain wall between in the same colour to create the appearance of a deep continuous moulding. -All white trim is a popular choice for many practical and stylistic reasons. Trim, especially when carved into fancy patterns, is often made of lower-grade materials like MDF that are easy to cut and apply but not presentable without a paint finish. -White trim has the advantage of contrasting the pale undertones of neutral walls (such as off-white creams, taupes, and greys), for a clean and fresh feeling that suits anything from plain moulding to elaborate patterns. 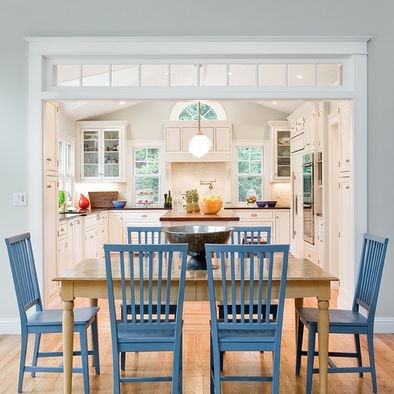 -White trim also works well in spaces with a lot of wood tones, to avoid adding an additional wood which may conflict. -A painted neutral trim, with a hint of colour (such as a pale blue-green grey) lends a historic, sophisticated appeal with a touch of formality, dressing up a space and typically suiting a moderately elaborate moulding. 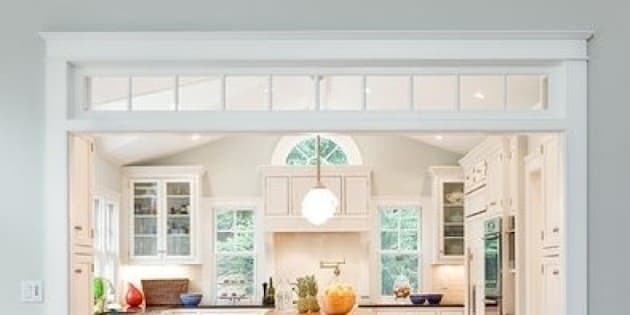 -Eye-catching moulding is a rarity in newer built homes, so if you have invested in an upgrade (or are lucky enough to enjoy heritage trim in an older home), consider showing it off by using paint in a subtly higher gloss than the surrounding walls. -I often use a matte paint finish on walls and ceilings (for a more contemporary designer look than standard eggshell) and apply the same colour to trim in a satin finish for a slight hint of sheen that makes the curvatures of moulding pop. -Rich wood mouldings are a traditional classic which can also suit a more contemporary space, providing a strong anchor to architectural features like doors and windows. -Wood can usually coordinate well between multiple varieties, so you can feel free to use a lighter tone for the flooring with a dark accent for the trim (or even vice versa), but if you're unsure, matching the two finishes will always work. Try: A dark espresso stain to obscure (but not erase) the grain, for a look that's organic but not overwhelming. 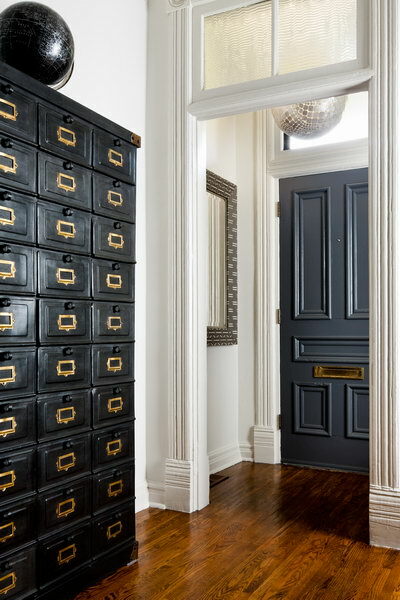 -For those who demand a high fashion look, painted trim in a bright or bold shade makes a can't miss statement which brings life and energy to a room in a unique way. 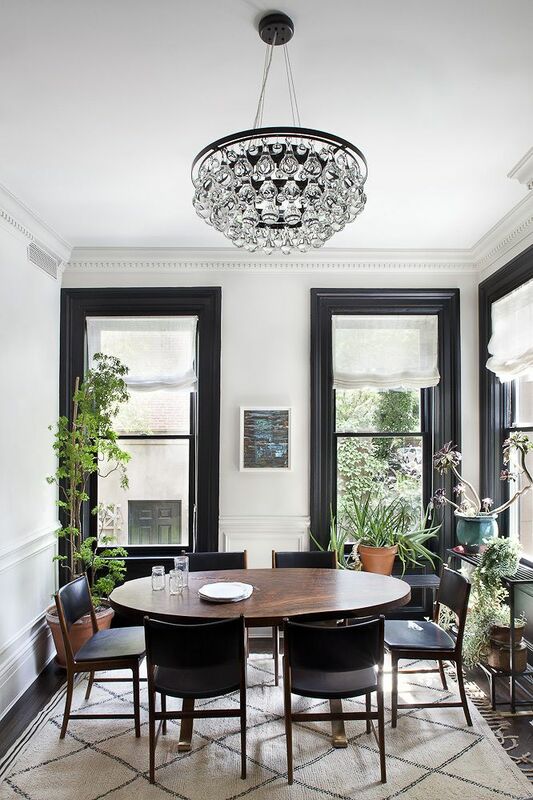 Black trim frames rooms like an art piece (and brings out the rich essence of dark floors), while a bright, colourful shade can create an exotic appeal with plenty of personality. -Again, consider matching bold trim to a bold ceiling for a high-drama statement, or alternately use a bold shade on windows or doors, leaving the ceiling trim and baseboards white for a more moderate scheme. Got a magical moulding idea to share? Send me a tweet or an Instagram snap @yanicsimard. 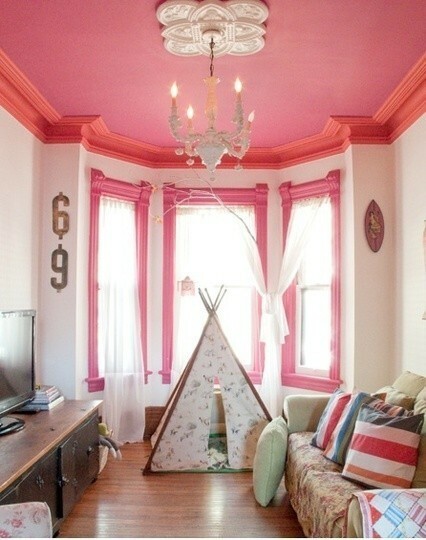 And dont forget to visit tidg.ca/interiors for more design ideas top to bottom!